Network Rail has announced it will postpone works on the Brighton mainline which would have seen the line closed for nine days in October. 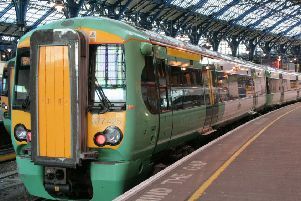 The line was set to close between Three Bridges and Brighton during the October 2018 and February 2019 half terms. But Network Rail and Govia Thameslink, which operates Southern, Thameslink and Gatwick Express services, said the improvement work would now be carried out in just one nine-day close from February 16 to 24, 2019. It’s part of a £300 million government-funded project to improve reliability for passengers on the Brighton Mainline and other Southern routes. Network Rail said 15 weekend closures between September 2018 and May 2019 will go ahead unchanged. It said passengers now have more time to plan ahead before the weekday closures in February next year, while allowing the rail industry to focus its efforts on the interim timetable from this Sunday, July 15. During the line closures, no trains will run between Three Bridges and Brighton or between Three Bridges and Lewes. Rail replacement buses will be in operation, as well as diverted train service between London and Brighton via Littlehampton. John Halsall, Network Rail’s managing director for the South East, said: “I know many passengers have had a really tough time since the timetable change in May. That’s why I asked for a review of all our planned maintenance and improvement work with GTR to identify any opportunities to postpone or re-plan engineering work to a later date. “I’m pleased we’ve been able to re-plan the way we’re carrying out this long-overdue upgrade to one of the most unreliable parts of our rail network, meaning passengers will get almost all of the reliability benefits but with significantly less weekday disruption. Keith Jipps, Govia Thameslink Railway’s infrastructure sirector, said: “This route is the most congested and intensively used in the country and Network Rail’s work is essential to give our passengers the reliable, on-time services they want and deserve. The improvement work will focus on four Victorian-era tunnels – Balcombe, Clayton, Patcham and Haywards Heath – and the railway which runs through them. The work is set to improve drainage in the tunnels, upgrade signalling equipment, renew the tracks and points, and replace fencing along the line.